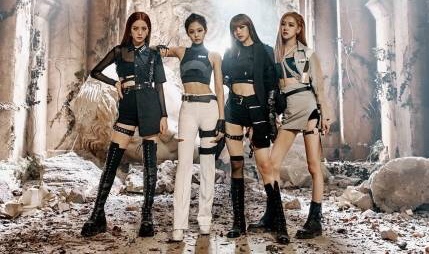 [OSEN=정지원 기자] BLACKPINK made a remarkable achievement of taking No.1 on American Billboard’s “World Digital Song Sales” chart for two weeks in a row. As of today (July 5) at 10AM, BLACKPINK’s new song “As If It’s Your Last” took No.1 on American Billboard’s “World Digital Song Sales” chart following last week, to prove their global popularity. BLACKPINK also boasted their formidable influence on charts by taking the 45th place on “Billboard Canada Hot 100” chart. Last year, BLACKPINK took No.1 and No.2 on Billboard’s “World Digital Song chart” with their debut song “BOOMBAYAH” and “WHISTLE”, for the first time for a Korean girl group. Then, BLACKPINK went on to take No.1 on Billboard chart again with “PLAYING WITH FIRE” and now with “As If It’s Your Last”. As such, BLACKPINK is proving their global potential by taking high ranks on a variety of foreign charts. Notably, the official music video of “As If It’s Your Last” set the record of the biggest number of views within the shortest period of time for a song of a K-Pop group, by surpassing 10 million views within 17 hours of release; 20 million views within 47 hours; 30 million views within 107 hours; and then 40 million views within 9 days and 12 hours (228 hours), to write a new history in Korea’s music scene. In the meantime, BLACKPINK will fully reveal their sense of humor and wit in MBC Every1’s “Weekly Idol” show to be aired today (July 5) at 6PM.